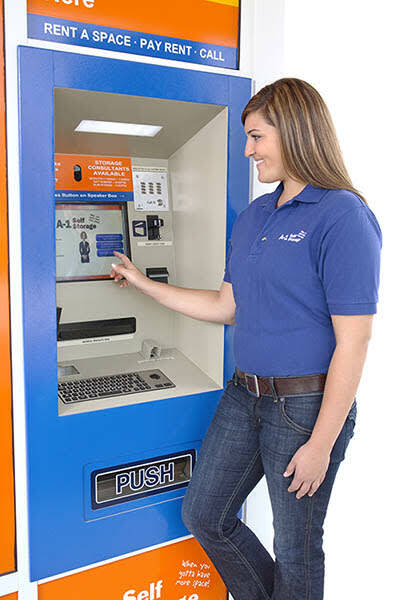 Here’s just another way that A-1 Self Storage makes things easier for you – introducing our 24 Hour Rental/Payment Kiosk. Can't make it into our office during Office Hours? No problem! This kiosk will do everything except unpack your stuff! The Self-Service Rental/Payment kiosk is quick & easy! La Mesa - Spring St.
North Hollywood - Vanowen St.